Dallas Cowboys @ Atlanta Falcons. 2018 Week 11 National Football League (NFC)Betting Preview for Sunday, November 18. Written by National Football League Betting Analyst Greg Nelson. Charliessports.com produces it for Football News. NFL ATS Picks are comprised of our 500* Signature Selections. So make the smart decision and win alongside us, Enjoy the games! The (4-5) SU/ATS Dallas Cowboys got a much need win 27-20 SU last Sunday as 7’point road UNDERDOGS ATS which keeps them in playoff contention. The victory broke a two-game SU losing streak which the team needed for confidence moving forward. Quarterback Dak Prescott threw for 270 yards completing 26 of 36 passes while running back Ezekiel Elliott rushed for 151 yards. Rookie Linebacker Leighton Vander Esch made a play in the fourth quarter which forced a failed 4th down attempt by the Eagles offense that was the play of the game. UNDER bettors have profited in 8 of Dallas last nine on the road when the combined score averages 33 points. The UNDER is 4-0 the Cowboys last four in week eleven of the season. Dallas is 2-5 ATS the last seven meetings between the teams. The UNDER is 8-0 the Cowboys last eight following an SU win. The (4-5) SU, 3-6 ATS Atlanta Falcons are on the verge of being eliminated from playoff contention with a 28-16 loss last week to Cleveland as 6′ point road FAVORITES ATS which broke a three-game SU winning streak. Atlanta was down 14-10 at halftime but couldn’t get it going after the break. The Falcons defense allowed 211 yards rushing to the Cleveland offense including a 92-yard touchdown run by rookie Nick Chubb that put Cleveland up 28-10. The Falcons couldn’t recover from two lost fumbles which played a part in the defeat. OVER bettors have cashed in the Falcons last four following an SU loss. The Falcons are 0-4 ATS their last four vs. A Team with an SU losing record. The POINT SPREAD FAVORITE is 4-1 ATS the last five times the teams have played. Kickoff will be Sunday, November 18, 2018. Game time is at 1:00 PM EST at the luxurious Mercedes-Benz Stadium in downtown Atlanta, Georgia. The FOX Television Network will be broadcasting. The Betting Line has Dallas as 3 point road UNDERDOGS ATS. The TOTAL is forty-eight and a half points for Sunday’s contest. The Dallas Cowboys are two games from the top spot in the NFC East, behind first-place Washington who they’ll host on Thanksgiving day. Head coach Jason Garrett is aware of his team’s woes after a win; they’re 1-4 ATS and 0-5 SU. Making matter worse is linebacker Sean Lee will be out until December with a hamstring injury but they’re good enough to disguise his absence. Dallas plays three consecutive home games after their trip to Atlanta of which two are against division opponents. Dallas has produced (2,947) yards of total offense this season which ranks 29th in the NFL while averaging (327.4) yards of offense per game. 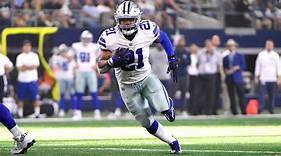 Ezekiel Elliott has (831.0) rushing yards which are second to Todd Gurley of the Los Angeles Rams, as a unit the Dallas running game ranks 6th league-wide with (133.4) yards per game on the ground. The passing game should improve as they begin to call more plays for Amari Cooper. The Cowboys sixth-ranked defense has given up (2,957) total yards. Vander Esch is capable of filling the void of Lee who calls signals, and he’ll accept the challenge of a run defense that allows (96.7) ypg on the ground which is eight in the NFL. Defensive End DeMarcus Lawrence leads the Defense with six and a half quarterback sacks which is 17th in the league, and he has help from Taco Charlton and Randy Gregory. A key to a Dallas win is to establish a running game to keep the Falcons high powered offense off the field; Cooper could see plenty of passes thrown his way against a 27th ranked Atlanta pass defense. Bovada.Lv, list the Dallas Cowboys at +2,800 to win the 2018-19 NFC Championship. Atlanta Falcons head coach Dan Quinn knows it’s going to be an uphill battle for his team to make the playoffs for the third consecutive season. With New Orleans having one loss and second place Carolina playing elite football the Dirty Birds must win Sunday at home to keep their postseason hopes alive. Unless something terrible happens in New Orleans they’ll win the division and the Falcons must eliminate any contenders for a wildcard post. Games against Dallas, Green Bay, and Carolina are on the schedule which they must win. 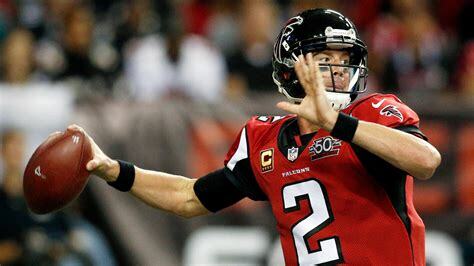 Quarterback Matt Ryan leads the second-ranked passing offense in football, (319.1) ypg through the air. Atlanta averages (408.9) total yards per game but Dallas has a more than capable defense. Atlanta’s lowest point output at home was 23 points against the New York Giants on October 22nd which was also their best defensive effort of the season in Atlanta. With Devonta Freeman missing most of the season with a knee injury running back Tevin Coleman has had to carry the load for a rushing attack that ranks 30th in the NFL. They’re better used in rotation as a tandem and Coleman is struggling with the role as a four down back. As good as Dallas is on defense Atlanta is equally bad allowing (414.3) yard per game in total yards. The Falcons have the edge at quarterback, Ryan is much better than Prescott, and Julio Jones will want plenty of passes thrown his way to show Cooper he’s in the wrong Conference. Bovada.Lv, list the Atlanta Falcons at +4,000 to win the 2018-19 National Football Conference Title. Free Pick. Atlanta-3. Also Play Online Poker Plus Other Casino Games and enter some of the best Tournaments on the World Wide Web. Two teams with short winning streaks meet in the 2018 NFL campaign’s ninth week. The Atlanta Falcons [3-4] visit FedEx Field in the nation’s capital to take on the NFC East-leading Washington Redskins [5-2]. The pressure is on the Falcons to not allow their season to slip away and the ‘Skins to consolidate their position and prove they’re a cut above the Dallas Cowboys and defending Super Bowl Champion Philadelphia Eagles. Want to be a cut above the rest? CharliesSports’ NFL Picks can keep you flying high! Washington head coach Jay Gruden resembles the fella on Antique Roadshow who discovers he’s picked up a long-lost Vincent van Gogh masterpiece at the flea market. Both quarterback Alex Smith and tailback Adrian Peterson are castoffs that other coaches no longer wanted. Andy Reid let the 34-year-old Smith go for a song to hand his offence over to young gun Patrick Mahomes. Smith has responded with a steadfast 1561 yards passing, eight touchdowns and just two interceptions. Peterson, 33, played for both New Orleans and Arizona last season. In ten games combined, he rushed for 529 yards and two TDs. He already has 587 and four this term. Atlanta coach Dan Quinn, two years removed from an epic Super Bowl collapse is retooling on the fly. Tevin Coleman is now the main ball carrier and Steve Sarkisian is calling the plays in his second year, from the sideline no less. Matt Ryan can still sling it. The Boston College product, now in his 11th season with the Falcons, has put up 2,335 yards passing with 15 TDs and two INTs. Quinn’s woes stem mainly from the defence, specifically the secondary. Of the last 10 offensive TDs scored against the Dirty Birds, eight were passes. It’s not that the defensive backs are being stretched, either. Seven came from inside the red zone. They just can’t cover anyone. Atlanta is relatively healthy. RB Devonta Freeman remains on the IR with a groin problem. Kicker Matt Bryant is questionable for the game with a hamstring problem. Emergency replacement Giorgio Tavecchio was perfect against Philadelphia last week, with two extra points and three field goals, one for 56 yards. Washington isn’t so lucky. Three starters and as many second-stringers are listed as questionable for the game. Wideout Jamison Crowder, left tackle Trent Williams and right cornerback Quinton Dunbar comprise the first group, RB Chris Thompson, left corner Adonis Alexander and weakside linebacker Ryan Anderson the other. The LINE favours the Redskins by 1.5 points in this one. The TOTAL is 47.5. Something has to give there. Sarkisian’s offence racked up 30 points or more in four of their last six but went nine points UNDER against another NFC East opponent, the New York Giants, last week. Washington hasn’t conceded 20 points in their last three. They did surrender 43 to New Orleans before the streak began. Atlanta is OVER in their last four after failing to cover but they’re UNDER in six of their last seven following a STRAIGHT UP win. The ‘Skins are UNDER in their last four after surrendering more than 250 yards in the air and their last five against losing teams. They’re also 5-0 AGAINST THE SPREAD vs teams with a losing road record, but that’s countered by the road team in this series sitting 5-1 ATS entering this tilt. There’s a strong case for the UNDER in this one. Washington’s a top defence at home and Atlanta stalled in their last outing, rescued by a journeyman placekicker. On the other hand, the teams have alternated between OVER and UNDER in the last six and it’s OVER’s turn. In the end, I think it’s simple. Atlanta can score and still lose. Washington doesn’t score much but consistently wins. Take the Redskins and give the points.